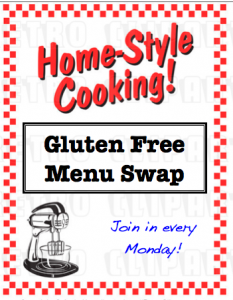 Menu Plan Monday – Gluten Free Celebrations!! This week is the 10 year anniversary of being told by our doctor that our daughter needed to be gluten free. That was the first step on an amazing, crazy journey that has blessed our family in countless ways. I am celebrating those blessings by hosting a blog carnival today. The theme is Gluten Free Celebrations. Join me in the party! 2) A recipe you use to celebrate with family and friends. 1) If you are joining in you will post about Gluten Free Celebration food. If you would like to highlight an old post, feel free to do so by simply creating a new post mentioning the carnival and linking to the older post featuring your yummy celebration food. 2) Then come over to my site and enter your information into the Mr. Linky. Be sure to link to your Celebrations specific post, not just your website’s address. 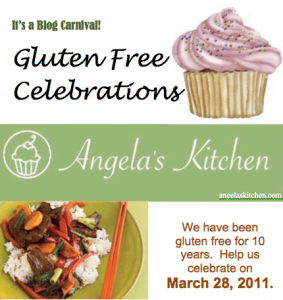 I hope to see you all join in for the Gluten Free Celebrations Carnival. Consider yourself invited to the party. I can’t wait to see what you all come up with! This week I am hosting the Gluten Free Menu Swap and have (of course) picked the theme of celebrations. For other menu inspiration, see Laura’s blog for Menu Plan Monday. 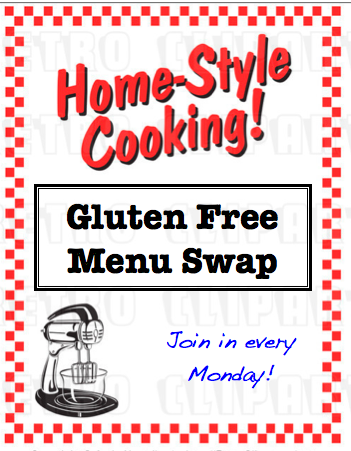 Thursday: friend over to bake gluten, dairy, and egg free!! Cheryl of Gluten Free Goodness is doing some celebration of her own this week! She has yummy links to wonderful recipes like Nana Skillet Bread, Banana Mac Cip Cookies, Nanaimo Bars Redux, Best Ever Chocolate Ganache Frosting, Chocolate Raspberry Pie, Bittersweet Chocolate Chestnut Fudge, Chocolate Banana Bread (hmm… I am sensing a theme of cocoa goodness! ), Quinoa Italiana (my family really like this), and Yummy Red Lentil Dal (I make this for lunches for me). She graciously coordinates the Gluten Free Swap, so drop her a line if you would like to host! Wendy at Celiacs in the House had kitchen helpers making meals at her home this week. Yay, team work – you gotta love it! She has GREAT pics and reviews of some of the things they cooked last week. This week they have Kale Pesto with quinoa (I have a ton of kale and need to check that recipe out! ), Beef Stir Fry with asparagus, broccoli and Peppers, Salmon Cakes, Minestrone, Tacos and a pizza night planned. Sounds like the perfect week to me! 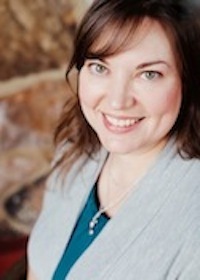 Carrie at Ginger Lemon Girl joins us this week with pantry and freezer meals. She has a link to some great sounding teff muffins this week. For dinners this week she is serving Almond Halibut, homemade, chili, roast chicken, a one pot beef and veggie meal, sandwich night, and a pizza night. She’ll also get to meet up with her GF Support group with a field trip to the GF Whole Foods Bakery. Sounds like so much fun! G-Free Mom is adopting the amazing Silvana Nardone for Adopt a GF Blogger this month, so she has a bunch of her yummy things on their menu: Spaghetti and Meatballs, Oven-Fried Frito Chicken Fingers, Fried Sole with Creamy Lemon-Pickle Relish, and Pepperoni Pizza. Sounds great! I can’t wait for her post. They have celebrated a ton of birthdays this past weekend and made Silvana’s GF sugar donuts from her cookbook. Sounds like perfect celebration food to me! Scrumptious at In My Box isn’t in too much of a celebratory mood, yet is still putting together a menu colorful enough to cheer anyone. She does have a link to her first gluten free vegan Thanksgiving (it includes links to the amazing things they cooked). On the menu this week is Edamame and tofu succotash with roasted broccoli and lemon zest, Gnocchi in vodka sauce with “Venice in your mouth” escarole (gotta try that one! ), Tempeh reubens, a “mish-mash” bowl that looks amazing, Chickpea picatte and coconut curry noodles. 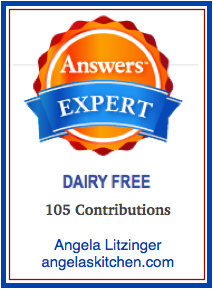 I love that you are celebrating 10 years of gluten-free living. Such a joyful attitude! Thanks for hosting the swap this week too. Hi Angela, Happy, happy 10 years! I think that's awesome, and glad to celebrate along with you. My plan is up http://www.gfgoodness.com/?p=3667 and I'm honored that you've tried and enjoyed so many of my favorites. I didn't notice the chocolate theme 'till you pointed it out, but I must plead guilty! Celebration Food! 101 Cookbooks' Limoncello Macaroons are out of this world! http://www.101cookbooks.com/archives/limoncello-macaroons-recipe.html Made of almond paste, egg white, confectioners' sugar, almond extract and limoncello, they couldn't be easier! Be sure to scroll all the way down to the bottom of 101 Cookbooks' link to find the recipe. Sounds yummy! I am going to have to look for that one. Thanks! Thanks so much for including me this week Angela! I"m honored to be a part of the roundup! Your meals sound fantastic too!! Stromboli!! Mmmmm!